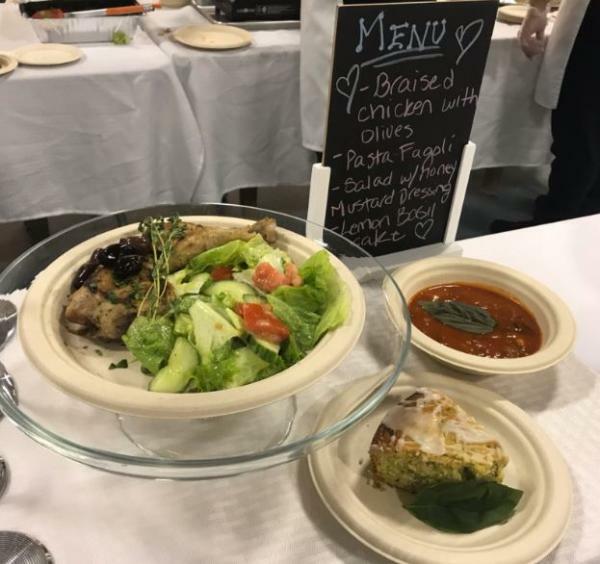 Zaman's Culinary Kitchen is thrilled to announce two new ways to support Zaman's programs, which provide basic needs assistance and vocational skills training to families in need. For those Zamanitarians in need of a quick and healthy weekday meal, the Kitchen hosts Cafe Lunches for the public every Wednesday from 12pm - 2pm, at the Hope for Humanity Center. Made in-house by Chefs Adriana Kalota and Daniela Abel, the food is halal and delicious. Chef Adriana and her team also offer catering for off-site events of 25 guests or more. Click here to browse our extensive Catering Menu, sure to please any crowd. Click here to see our special Ramadan menus. All proceeds from both culinary initiatives go directly to Zaman's programming. View our monthly Cafe Lunch line-up and access our Catering Menu at http://bit.ly/zamancafe.